Beautiful travel pictures by Cindy. Thank you Patricia for your thoughtfulness & cheers to you from snowy Germany! Definitely the stuff of story books! Fabulous shots Cindy. 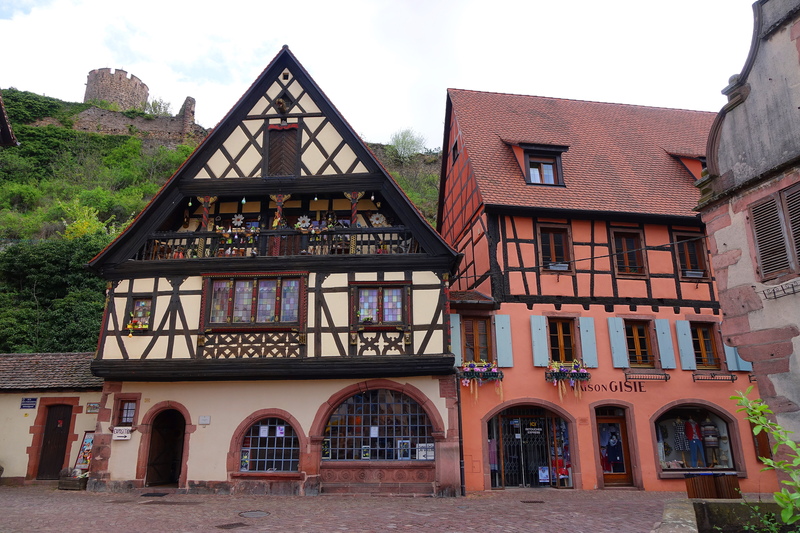 Thanks for sharing so many colorful shots of Alsace. You definitely make me want to go there. We will be in Provence for the first time in June of this year. Can’t wait! I love Provence and you will have a wonderful time. 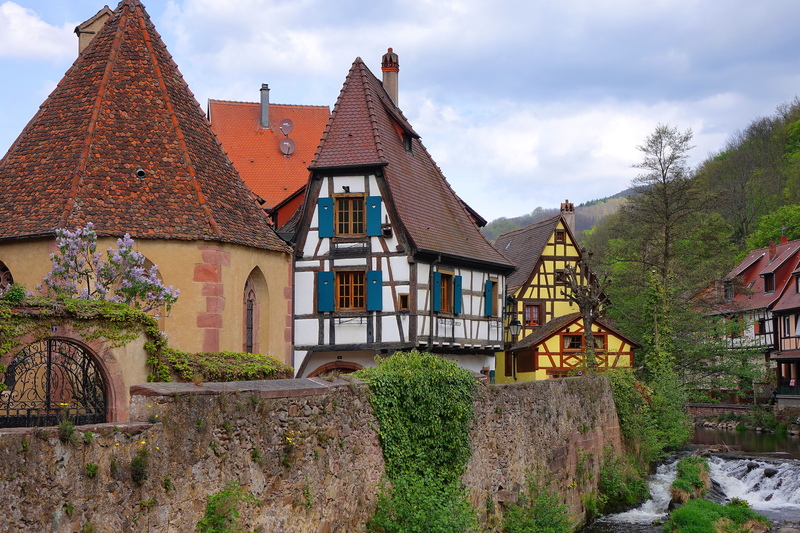 If you visit Alsace, you may want to go during non-peak travel times to avoid the crowds. I am so sorry I missed this comment and just saw it now. Please go. Off season. And thank you. Hobbit town would work for me, permanently! We all could use Bilbo and Gandalf right now! I want to go there!!! Love the colors. I have bookmarked your blog. I am impressed by what you are doing. Hugs and all the best to you Rhonda, more posts coming soon. It’s hard to pick what to post! Yes, it is a magical place. Glad U posted hi-res photos. I could zoom in on the last one and verify that the cylindrical things (hung out to dry?) were ears of corn. 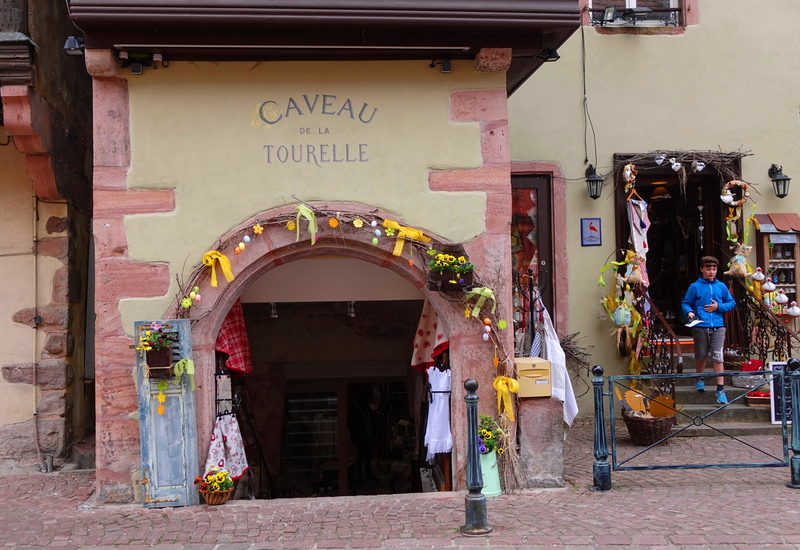 Did not know that corn was popular in Alsace. 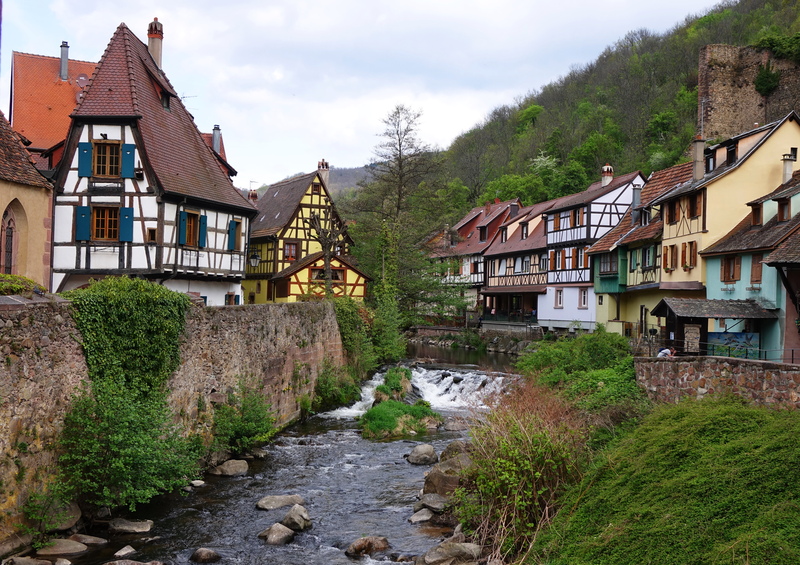 it gladdens my heart to know that there are still places like that, and that they survived both World Wars when so much of that area was fought over., and when Alsace and Lorraine were parceled back and forth between France and Germany..
More bon voyages please !!! Yes! Beauty surviving the destruction of human beings is very moving to see and experience. If only human beings were capable of learning and changing, we conserve more of the beauty on this planet. Cheers to you Valerie & thank you! The whole region is dotted with little villages like this! There are villages like this scattered all over the region! Thank you more for joining me! I am sad I didn’t take photos of the bakery. It was the most delicious lemon tarte I have ever eaten, so I had two pieces. Don’t tell anyone I said that it was better than key lime pie! It was pure heaven and I will remember it for a very long time! Wonderful tour, Cindy, and your photography is beautiful! 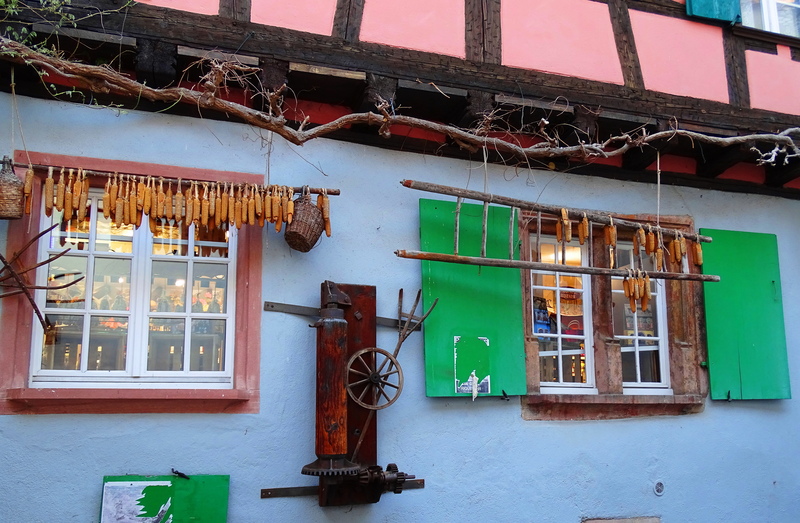 Wieder sehr schöne Fotos aus dem Elsass, liebe Cindy! Ich hoffe, ich lande jetzt nicht wieder in Deinem Spam-Ordner – wie schon mit anderen Kommentaren und mit einer Mail auf Dein Mailfach. Oh, oh, oh…I want to go! Being there with your photos is next best. Nice! Good thing it is National Poetry Month! Utterly charming.Wouldn’t want to leave if I get to go there. Wunderbar! Haben Sie ein herrliches Wochenende! Here in Caracas (Venezuela) there is a place called Colonia Tovar. 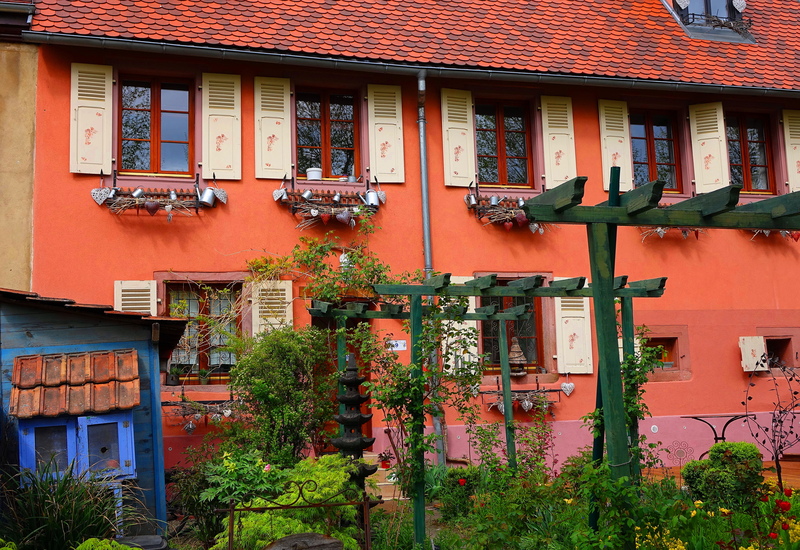 It was a German settlement of the year 50. The houses are identical as your photos. The views that you have put are fantatic. So pleased you do & cheers to you! Thank you! Hope you have a great day! Oh I do love J.R.R. Tolkien – “All that is gold does not glitter, Not all those who wander are lost.” I do love your wanderings! Yes, and the very steep roof. I love it too! What a BEAUtiful place !! Thanks for sharing! Thank you more for your thoughtful appreciation! Oh Cindy, How wonderful this must be to see, have a wonderful wonderful time.. Wish I were there, Cindy so beautiful.. love it..
Hi, Cindy. What a magical place! I hope you’re having a great time there. You have to take advantage of these moods when they strike because they don’t last all that long in my experience! I really need to go to Europe. Just beautiful. 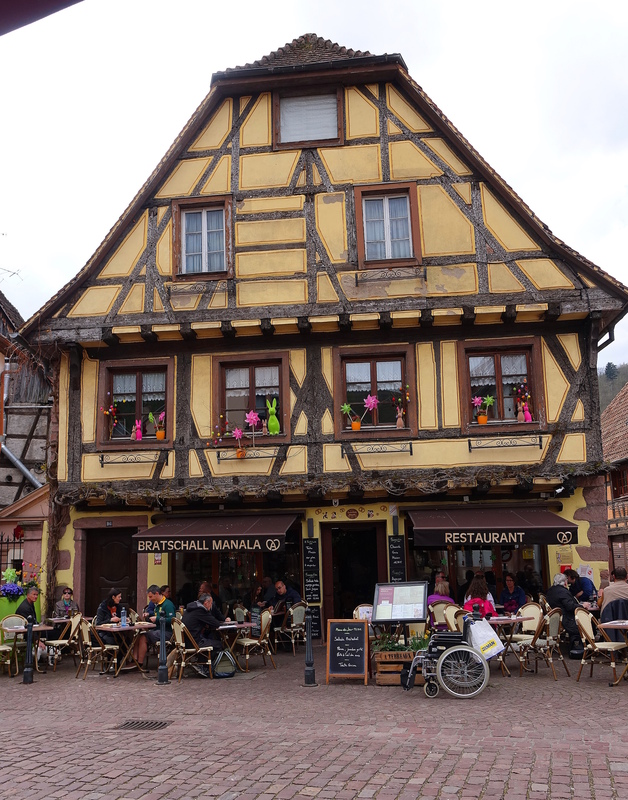 Recommend visiting off season as the word is clearly out on Alsace and it gets quite crowded in peak season. Fall would be a good time to go! I am happy you enjoyed it! It’s good to be home and catch up with my friends! My daughter and son in lawn went to grad school in Lawrence. I would say you definitely can do this! Awww, that is plenty, thank you! Fabulous photos, what a lovely location, were the vehicles allowed alongside these houses? Yes, on most streets, vehicles are allowed, but only resident’s vehicles thankfully, because it is challenging enough to dodge them! They are experienced at driving these streets and not colliding with people!